This Chaturanga 101 is an in- depth exploration of one of the most crucial foundational poses in vinyasa yoga. Chaturanga dandasana, or four-limbed staff pose, is necessary for building upper body strength and balance to explore and express more advanced yoga poses, or asanas. Topics covered will include anatomy of the shoulders, wrists, and hands, alignment to the rest of the body, and how to safely and effectively transition into and out of the pose. We will discuss why chaturanga is more than just a “yoga push- up” or a stop between other poses, as well as some of the potential for injury involved in not performing chaturanga correctly. Personalized instruction on how to engage the right muscle groups and technical feedback will be offered. This workshop is ideal for newer practitioners looking to build a strong foundation for their growing practice, as well as seasoned yogis and teachers looking to revisit such an important asana in a new, in-depth manner. Sunday June 3rd. 10am- 2pm. Are you getting excited about the nice weather and another glorious summer in Western New York? Are you looking to find new places to explore the great outdoors? Are you looking to deepen your yoga practice or just want to try something different? Welcome to Yoga & Hiking, presented by Creative Wellness and Spencer Jones Yoga. Join us for a Sunday hike in Hunters Creek County Park, one of the true undiscovered gems of WNY and only a 20 minute drive from downtown Buffalo. Meet other adventurous yogis from the area as we explore the ravines, creeks, rolling hills and waterfalls of this nearby wilderness followed by a vinyasa yoga practice and guided meditation in the forest, designed to deepen our connection to the natural world. Bring a water bottle, light snacks,and suitable footwear. Mats are optional, don’t be afraid to get your hands a little dirty and connect to your own wild side! limited spaces are available. Don’t miss your chance to join in on the fun exploring the wilderness outdoors and the wilderness within. Sunday: July 8th 10:00 – 2:00 p.m.
Are you getting excited about the nice weather and another glorious summer in Western New York? Are you looking to find new places to explore the great outdoors? Are you looking to deepen your yoga practice or just want to try something different? Welcome to Yoga & Hiking, presented by Creative Wellness and Spencer Jones Yoga. 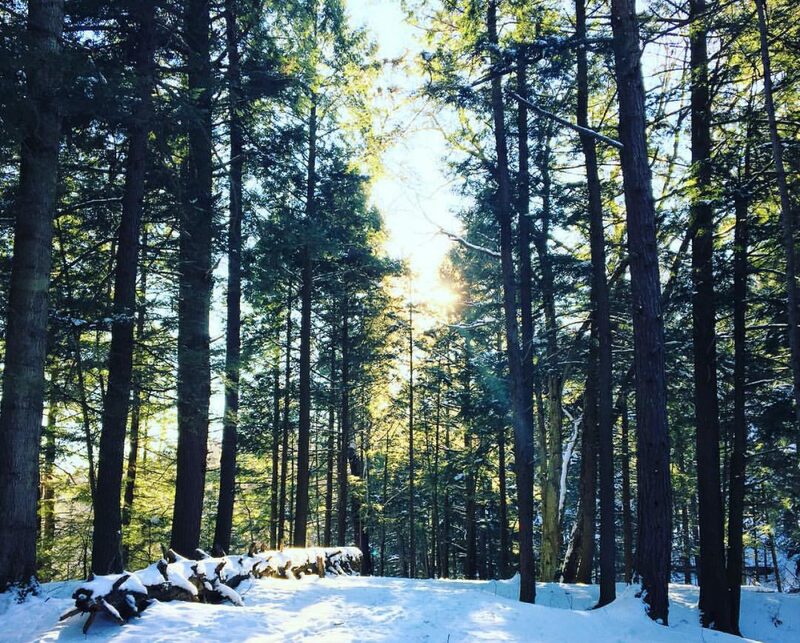 Join us for a Sunday hike in Sprague Brook County Park, one of the true undiscovered gems of WNY and only a 30 minute drive from downtown Buffalo. Meet other adventurous yogis from the area as we explore the ravines, creeks, rolling hills and waterfalls of this nearby wilderness followed by a vinyasa yoga practice and guided meditation in the forest, designed to deepen our connection to the natural world. Bring a water bottle, light snacks,and suitable footwear. Mats are optional, don’t be afraid to get your hands a little dirty and connect to your own wild side! Dress for the weather, we WNYers are a hearty bunch so we will be exploring rain or shine! Meet at 10:00 AM in the park parking lot in front of the restrooms in Glenwood, NY. Pre-registration is required, limited spaces are available. Don’t miss your chance to join in on the fun exploring the wilderness outdoors and the wilderness within.